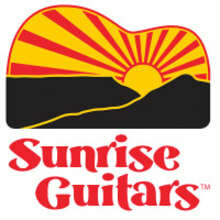 Sunrise Guitars is located in beautiful Fayetteville, Arkansas. We carry Martin, Taylor, Bourgeois, Yamaha, Cordoba, G&L, PRS, Music Man, and Eastman guitars. Additionally, we offer a large selection of folk instruments, including banjos, ukuleles, and mandolins. Whether you’ve been playing for years or are just starting out, we have something for everyone. Browse through our online catalog and if you see something you like, message us and we'd be happy to give you more information, more pictures, or work out a deal so it can become yours. All instrument photos are of the actual instrument you will receive upon purchasing. No stock photos. Free Shipping for all items $100 and above within the United States except for Alaska and Hawaii. All items below $100 will be charged a flat rate of $20 within the United States except for Alaska and Hawaii. We do not ship outside the United States. All instrument purchases require a signature upon delivery. We try to accurately describe each listing and we won’t be satisfied if you don’t have a good experience. If you have any questions about our listings please contact Sunrise Guitars directly where a sales associate or store manager will be glad to help you with your decision. Exclusions: Amps and Keyboards are available for local pickup only. All in-store items that are not listed on our website are also excluded from free shipping. As soon as payment has cleared we will ship your order to via FedEx. Shipping Damage: Please do not accept any shipment if the packaging appears damaged in any way. We strongly suggest that you check your order after receiving it to be sure that it is in proper working order. You will be responsible for shipping damage on all returns. Easy Returns: You have 7 days from receipt to inspect an item and notify us if you intend to return it. If you are not satisfied for any reason, ship it back in the original packaging. When we receive the item in exactly the same condition as when it was shipped, we will issue a full refund, minus all shipping charges. Items must be shipped via FedEx or USPS. Please insure the package for the full retail amount. In the event that the product is not in the same condition as you received it, you may be subject to a minimum 15% restocking fee, repair charge or disqualification.